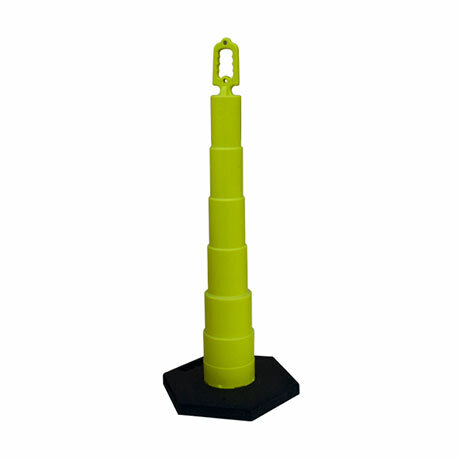 Made of impact resistant high quality low density polyethylene with a variety of base weights available. 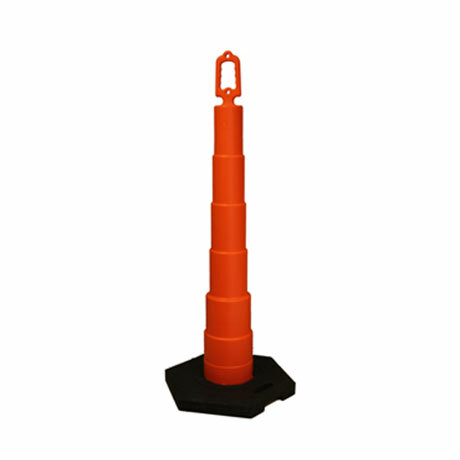 Highly visible 42" trimline channelizer ideal for controlling traffic in areas of limited space & can be fitted with a barricade light for maximum visibility. Easy-grip handle, allowing for easy carrying and quick positioning. Unique design allows convenient stacking with or without the base. Available in orange or lime green with or without reflective 3M™ sheeting. The Divertor™ is a highly visible 42" trimline channelizer designed for service in a wide variety of applications. This video demonstrates our industry leading durability and performance as we put The Divertor™ to the test.